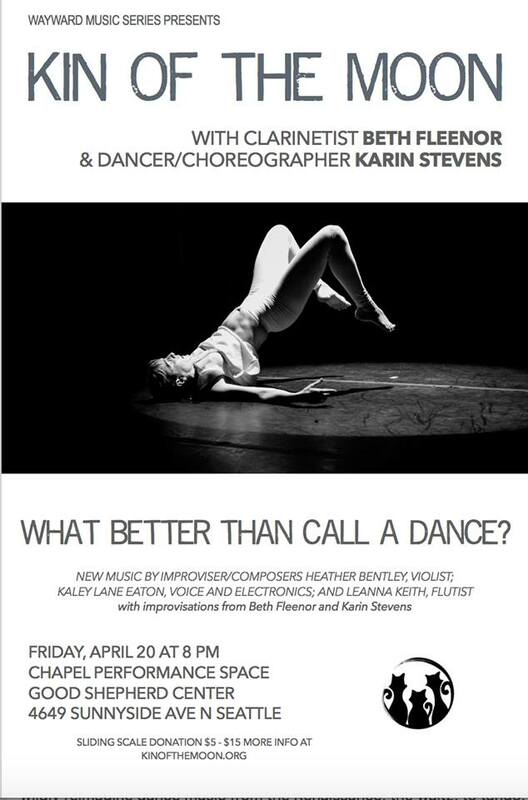 Our dear friends Beth Fleenor, clarinetist/improviser extraordinaire and Kin of the Moon joined Karin Stevens Dance to wildly reimagine dance music from the Renaissance, the waltz, to tango, to Electronic Dance Music (EDM) and the present. Newly created music from KOTM’s technology-friendly, improvisation-centric minds alternated with improvised music/dance from Beth and Karin in an uninterrupted performance at our beloved musical living room, the Chapel Performance Space. Press for What Better Than Call a Dance?